A local DUI checkpoint will be done in memory of the late Andrea Bailes and to note the passing of “Andrea and Willy’s Law” which was recently signed into law and into effect. 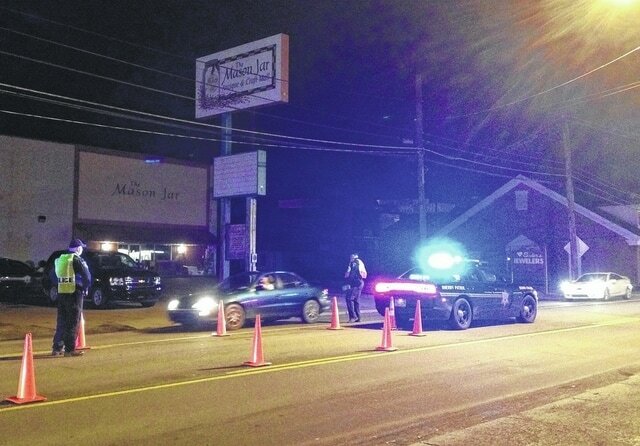 POINT PLEASANT — DUI checkpoints are common but this Friday’s checkpoint in Point Pleasant conducted by the Mason County Sheriff’s Department will have an uncommon element. According to Chief Deputy Dave Downing of the sheriff’s department, the checkpoint will be done in memory of the late Andrea Bailes and to note the passing of “Andrea and Willy’s Law” which recently was signed into law and into effect. Attending the checkpoint, alongside deputies, will be Andrea’s mother, Deana Spaulding as well as some of Andrea’s friends and family who have created a local, grassroots movement to educate the public on the dangers of drunk driving. In addition, members of SADD (Students Against Destructive Decisions) will also be at the checkpoint. SADD has several members at local high schools in Mason County. As previously reported, Andrea is the law’s namesake, along with Willy Shuman, a graduate of George Washington High School. Bailes lost her life Nov. 18, 2011, at the age of 14 in a drunk driving crash. The crash was caused by a drunk driver who had eight previous convictions. Shuman, a passenger in a vehicle, was killed in a drunk driving crash just days before heading to the U.S. Air Force Academy. The new law establishes tough penalties for driving under the influence of alcohol, controlled substances or drugs. The checkpoint is financed with support from the Governor’s Highway Safety Program. Officers will briefly stop all traffic at the checkpoint and distribute informational brochures as well as check drivers for signs of intoxication. All efforts will be made to ensure the flow of traffic remains constant and the inconvenience to motorists is minimized. For additional information contact checkpoint coordinators Sheriff Greg Powers and Cpl. J.R. Gilley at the Mason County Sheriff’s Department. Andrea’s friends and family recently attended a special ceremony at the Capitol where Gov. Earl Ray Tomblin signed the bill into law.